Beaches and gardens are just two options for day trips in NJ. Read on for other New Jersey day trips, including Atlantic City and beyond. If you’re thinking of getting away for a day but can’t decide where to go, consider a visit to the Garden State. 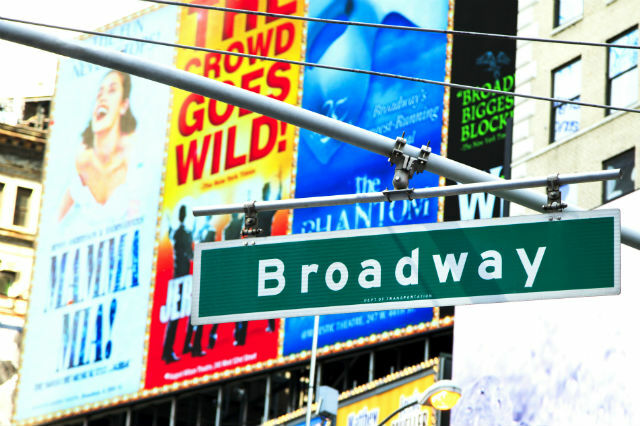 For those in the surrounding states, great day trips in NJ are only a few hours away. 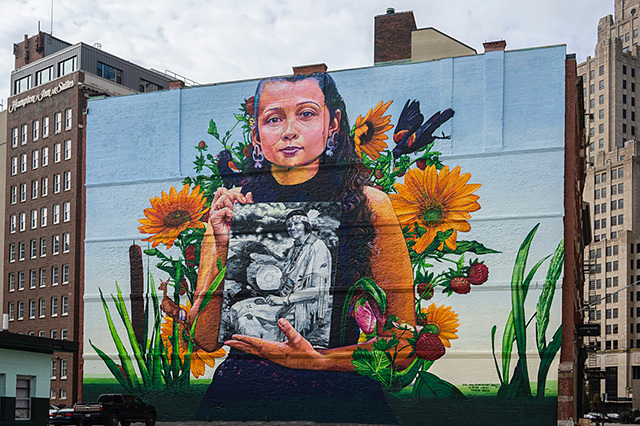 From historic sites and botanical gardens to beaches and one of the nation’s top spots for casinos and entertainment, New Jersey has many places to visit and activities that you can enjoy during the course of a day. A list of day trips in NJ just wouldn’t be complete without mentioning the Garden State’s beaches. One of the top spots is Island Beach State Park, located just south of Seaside Park in Berkeley Township, where visitors can swim, kayak and fish in some areas of the park. Another popular locale is Sandy Hook Beach, which is a great spot for surfing, but also features more than 300 species of migratory birds, while Long Beach Island is a summer colony that draws tourists and fishermen alike. And Cape May Beach is frequently listed as one of the best beaches in the region. The Jersey Shore site includes Higbee Beach and Poverty Beach. The arboretum, which was established in 1923, features more than 16 acres of woodlands, kettle moraines, hilly slopes, three miles of woodland hiking and biking trails and an amphitheater that was created by glaciers. More than 40 species of trees and ferns can be found at the arboretum as well as native New Jersey wildflower species and the Stone House, which was constructed 10 years after the site opened and features live animal displays. First established in 1912 by Frederick Sayen and his wife and officially opened to the public in 1991, this municipal park and botanical garden has more than 1,000 azaleas, 500 rhododendrons and 250,000 flowering bulbs, which are featured in an annual spring display. The site, which is among the most beautiful day trips in NJ, also has walking trails, gazebos and bridges and is a popular spot for wedding receptions and private parties. The garden hosts an annual Azalea Festival in May and is open year-round from dawn to dusk. This resort city is the East Coast’s answer to Las Vegas, offering casinos, live entertainment, a boardwalk and shopping. 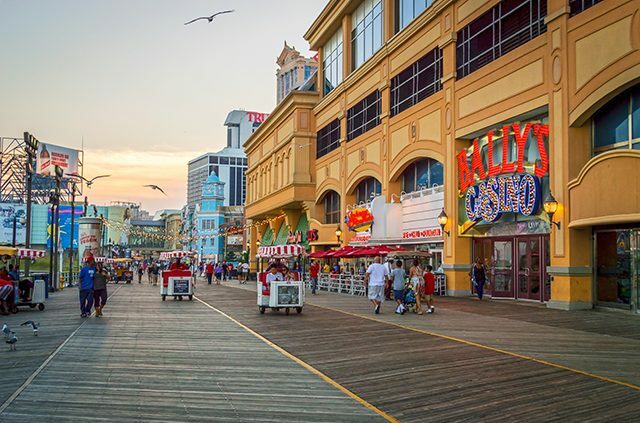 Some of the city’s most popular casinos include the Borgata, Caesars Atlantic and Harrah’s Atlantic City, while other attractions include the Tanger Outlets, Boardwalk Hall, Absecon Lighthouse, Atlantic City Aquarium, Ripley’s Believe It Or Not! and Steel Pier Amusement Park. Aside from gambling, many of the casinos feature restaurants, musical performances, burlesque and comedy. Visitors to this state park can take an old fashioned steam train or tour Allaire Village, a once-thriving 19th century iron making community. The park also has a network of trails that provide opportunities for hiking, biking and horseback riding and Allaire also offers hunting, fishing, canoeing and camping. More than 200 types of wild flowers, trees and shrubs can be spotted in the park. At Grounds For Sculpture, visitors can find thought-provoking artworks by renowned and emerging artists around every twist and turn. Set among manicured lawns, colorful flowers, lush greenery and calming water elements, trails lead to one discovery after another. The association’s permanent collection features ceramics, paintings, historic clothing, furniture, miniatures and textiles. Visitors can also sort through the association’s folk art collection, which includes everything from farm equipment to local retail signs and carvings. America’s oldest operating lighthouse, the Sandy Hook Lighthouse, can be found in this spot operated by the National Park Service. The lighthouse, which first opened in 1764, helped guide sailors approaching New York harbor at night and became a beacon of defense during the Revolutionary War. Visitors can take guided tours and also drop by nearby Fort Hancock, a former artillery base. 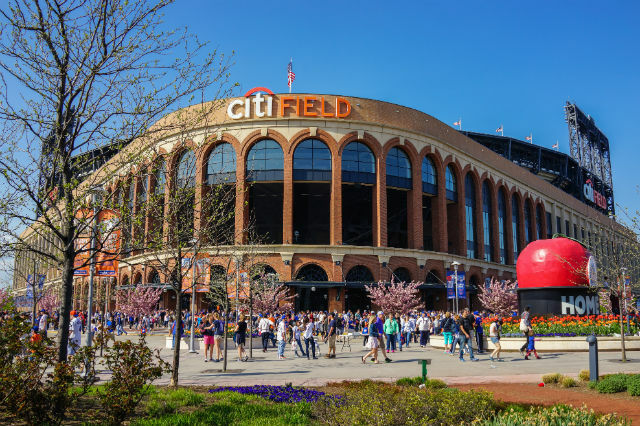 Always a good choice for day trips in NJ, the popular theme park offers a variety of thrill rides, such as Kingda Ka, the world’s tallest roller coaster, as well as a number of games and attractions, including live musical performances. The park’s Wild Safari is home to more than 1,000 exotic animals, while Hurricane Harbor features a million-gallon wave pool and nearly 20 speed slides. The museum’s collection includes African and Chinese art, Korean ceramics, Japanese paintings and prints, Byzantine and Islamic art and modern and contemporary works. Check out the museum’s collection of indigenous American art, which includes sculptures and pieces from a number of cultures, such as Alaska and Chile. 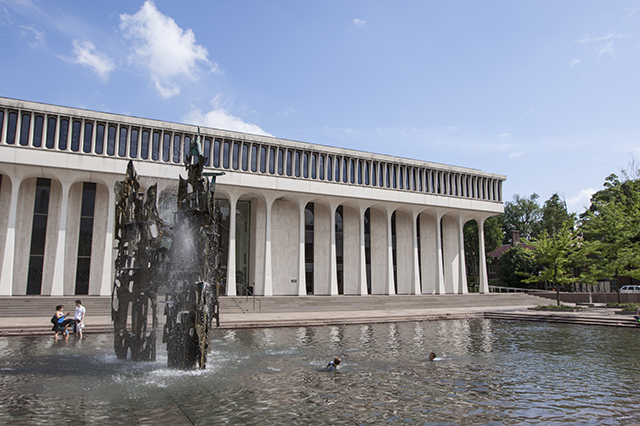 And while you’re in the neighborhood, drop by the Princeton University Library, which has one of the largest university library collections in the world, including 6 million printed works and 5 million manuscripts. Built in the early 1700s, this site served as a temporary home and headquarters for George Washington during the Revolutionary War and was where he wrote his famous Farewell Orders to the Army of the United States, announcing his retirement from military service. During tours of the farmhouse, visitors are given an in-depth understanding of life in the colonial period and each room is filled with 18th century furnishings and artifacts. The historic site also has a children’s museum. Originally opened as a showcase for animals indigenous to New Jersey, this zoo now features species from every continent except Antarctica. Visitors can hike through a natural area of oak, hickory and maple trees and spot New Jersey natives, such as the bobcat, porcupine, falcon, turkey vulture and bald eagle. Some of the zoo’s other denizens include penguins, wolves, alligators, bears, monkeys, reptiles, otters and wildlife from Australia. The small-town railroad offers scenic train excursions, hot air balloon rides and short line railroad rides operated with antique equipment. Many of the train cars, which were built in the 18th century, offer day-long excursions on steam locomotives and freight trains. Other activities at the site include corn mazes and special events on weekends. Known as the military capital of the American Revolution due to George Washington’s winter camp being located there, this park’s sites include Jockey Hollow, which features 27 miles of walking trails and reconstructed soldier huts. Visitors can learn about the soldiers’ experiences during the winter and their springtime battles with the British. The Ford Mansion, Headquarters Museum and Fort Nonsense Unit can also be found in the national park. This is a good bet for history buffs looking for fun day trips in NJ. First opening in 1925, this museum’s varied collection emphasizes local archaeology, history and mineralogy and includes dyeing, winding, warping, weaving and Jacquard loom products that gave Paterson, which was once known as the “Silk City,” its reputation for silk and textiles. The museum also showcases the city’s evolution from a textile and machinery center to a pistol and submarine manufacturer. Be sure to check out the patent medicines and compounding pharmacy equipment from a local drug store, circa 1919. Once home to Philadelphia merchant John Wallace, this eight-room Georgian style mansion was also a temporary home to General George Washington and his staff from 1778 to 1779. The property contains doors with panels in the form of a double cross, which was a common element of that time period, to keep witches out. Much of the home’s original woodwork, hardware and blue and white Dutch tiles are still intact. A farmhouse on the site that dates back to 1751 was home to the first ministers of the Dutch Reformed Church. Developed by tobacco and hydropower magnate James Buchanan Duke in 1893, this 2,700-acre estate features nine lakes, 45 buildings and 35 fountains. Visitors can hike a 1.25-mile trail through a variety of habitats on the property and spot an array of wildlife. Public access to the property is by reservation only, so register for classes or activities in advance. Who says day trips in NJ can’t be educational? This village’s roots can be traced back to 1766 and the Batsto Iron Works, which produced household items and wartime supplies to the Continental Army. Tours of the site include visits to a former sawmill, gristmill, general store, small cottages where workers lived, barns, a piggery and the 32-room Batsto Mansion. The village is located within the 110-acre Wharton State Forest, which provides opportunities for camping, hiking and boating. The winery, founded in 1864, is the oldest continuous commercial winemaker in the Garden State. A tour includes a trip to the Antique Glass Museum, which has a collection dating back to medieval times, as well as information on the history of the winery. Visitors can also check out the private collection of antique winemaking equipment and wine cellar, where wine is aged in giant oak and redwood casks. The tour ends at the Wine Tasting Emporium, where participants can sample wine and champagne. The winery also has a golf course and hotel. Once regarded as one of the most important change-of-course points for coastal vessels heading to and from New York along the New Jersey coastline, the lighthouse helped sailors avoid currents, sandbars and offshore shoals. Visitors can take tours, observe nesting birds on the beach or walk the Maritime Forest Trail, which is lined with black cherry, sassafras, eastern red cedar and American holly trees. Have you visited any of the sites we’ve included on our list of New Jersey day trips? Do you have any suggestions for more fun day trips in NJ? Tell us in the comments. 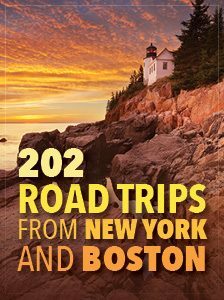 Article tags: alaska, camping, camping hiking, casinos, day trips, day trips in, day trips in nj, educational, entertainment, fun day trips, fun day trips in nj, garden, great day trips, hike, historic sites, home, home s, house, las vegas, national park service, new jersey day trips, park service, restaurants, retirement, the home, the national park service, theme park, theme park offers, tours, trip, trips in nj, walking trails, winter.